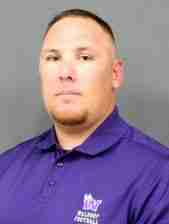 Waldorf University football coach Josh Littrell announced members of his new coaching staff on Monday. Littrell has named six members to his staff. Waldorf’s new coaches include assistant head coach/defensive coordinator Keith Jordan, linebackers coach Shawn Henry, offensive line coach Kevin Roehrich, defensive line coach Jonathan Black, wide receivers coach Brandon Freeman and linebackers/safeties coach John Hickey. Littrell, who’s set to make his debut as head coach of the Warriors this season, is excited about the makeup of his staff. Possessing a commitment to helping players learn to embody the definition of what it means to be a student-athlete, the new coaching staff for the Warriors wants their players to understand that exceling off the field is equally as important as achieving on the gridiron. Jordan arrives as Waldorf with a wealth of coaching knowledge, bringing 35 years of experience to the Warriors. He spent the past four seasons with the NCAA Division I football program at the University of Minnesota, serving as the team’s acting linebackers coach during the 2016 campaign. Jordan was previously the special teams quality control assistant at Minnesota, organizing and running all facets of special teams scouting and handling all other day-to-day operations for special teams. Prior to his quality control role, Jordan served as the operations assistant and defensive analyst for two seasons. During Jordan’s tenure at Minnesota, the Golden Gophers earned four consecutive bowl appearances with wins over Central Michigan University in the 2015 Quick Lane Bowl and Washington State University in the 2016 Holiday Bowl. Littrell was previously on the coaching staff for former Minnesota head coaches Tracy Claeys and Jerry Kill (now the head coach at Rutgers University) at NCAA Division II’s Emporia State University and later at then-NCAA Division I-AA Southern Illinois University. Searching for a defensive coordinator, Littrell was told by Claeys that he had the man he was looking for and Jordan was offered the position at Waldorf. “He’s a great coach and he comes highly recommended from one of my good friends,” Littrell said. Prior to coaching at Minnesota, Jordan also coached at Fort Scott Community College in Fort Scott, Kan. from 2010 to 2013. He worked as the defensive coordinator for the Greyhounds while also serving as the special teams coordinator and recruiting coordinator in his second stint with the program. 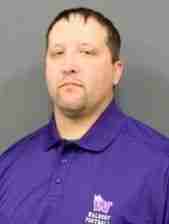 Jordan was also the defensive coordinator and strength and conditioning coordinator at Fort Scott from 2001 to 2004. Jordan’s time at Fort Scott fell between two coaching stints at Northern Michigan University where he was the defensive coordinator for NCAA Division II’s Wildcats from 1997 to 1999 and returned as the defensive backs coach from 2004 to 2006. During Jordan’s accomplished coaching career, he also spent time in coaching roles at NCAA Division II programs Southwest Baptist University, Northeast Missouri State University (now known as Truman State University) and Pittsburg State University. 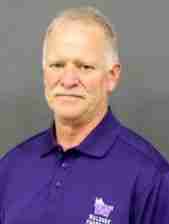 At Southwest Baptist, he served as defensive coordinator and strength and conditioning coordinator from 1995 to 1997. From 1994 to 1995, Jordan was the running backs coach at Northeast Missouri State. As a graduate assistant at Pittsburg State from 1989 to 1990, he worked with the team’s running backs and wide receivers. Jordan also spent 17 years working in high school football, which included nine years as a head coach. His head coaching positions included stops in Missouri at Monett High School, Kirksville High School and Jasper High School. 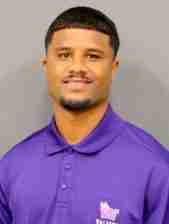 Aside from an exceptional coaching resume, Jordan is expected to provide significant leadership for Waldorf’s staff. With more than 16 years of experience as an assistant coach and volunteer coach, Henry possesses the ability to coach both offense and defense, extensive knowledge in the breakdown of offensive/defensive game plans and film, as well as a vast knowledge of offensive and defensive strategies. A strong work ethic also makes Henry a perfect fit for Waldorf’s staff and program. 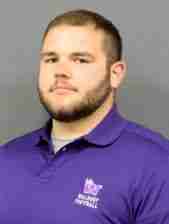 Henry joins Waldorf’s staff after spending four years at Culver-Stockton College, a National Association of Intercollegiate Athletics (NAIA) program located in Canton, Mo. He served as the team’s tight ends and fullbacks coach from 2014 to 2016. In addition to his coaching duties, Henry served as the program’s video coordinator and equipment manager. Coaching the Wildcats during the 2016 season, he coached a tight end who earned all-Heart of America Athletic Conference (HAAC) honors and ranked seventh in the conference in receptions. Culver-Stockton’s passing offense jumped from 48th in the nation to fourth in the NAIA with 352.5 yards a game during the 2016 campaign. Arriving at Culver-Stockton in 2013, Henry spent his first season as the defensive backs coach for the Wildcats. At Culver-Stockton, Henry assisted with the program’s recruiting efforts that brought players to a city with a population of less than 2,400. Prior to joining Culver-Stockton’s coaching staff, Henry was employed for four seasons at the State University of New York College at Cortland (also known as SUNY Cortland) in Cortland, N.Y. He contributed to the coaching staff on both sides of the ball while working as the program’s video coordinator and assistant recruiting coordinator. During the 2012 season, the Red Dragons posted a 9-2 record and reached the second round of the NCAA Division III playoffs. Henry coached SUNY Cortland’s quarterbacks and wide receivers from 2009 to 2010, the offensive line from 2011 to 2012 and the linebackers from 2012 to 2013. In 2010, the Red Dragons rolled to a 10-2 record and advanced to the second round of the playoffs. Henry served as an offensive coach at Alfred State College in Alfred, N.Y. during the 2000 season. As the offensive coordinator of the then-National Junior College Athletic Association (NJCAA) program, he worked with the team’s quarterbacks and wide receivers. “The thing that Shawn brings to the table is he’s got a chance to work under Keith [Jordan] and get mentored by him on the defensive side of the ball,” Littrell said. Roehrich was previously an assistant coach at Doane University, helping energize the NAIA program in Crete, Neb. from 2013 to 2015 while working alongside Littrell. Roehrich spent two seasons coaching Doane’s defensive line and was the offensive line coach in his final season with the program. The Tigers finished ranked in the top 25 of the NAIA poll in each of Roehrich’s three years at Doane, which included a top-10 ranking in 2015. Doane turned in a 5-5 record during Roehrich’s first season and improved to 7-3 during the 2014 campaign, concluding the year with a 49-48 upset win over top-ranked Morningside College. The Tigers continued to show steady improvement, powering to a 9-2 record in 2015 to earn a runner-up finish in the challenging Great Plains Athletic Conference (GPAC) and qualifying for the NAIA playoffs. Littrell, who was the offensive coordinator and quarterbacks coach at Doane for four seasons, said Roehrich’s knowledge on the offensive side of the ball will aid the Warriors. From 2011 to 2013, Roehrich worked as an assistant wrestling coach at Crete High School in Nebraska. In the volunteer position, he helped run practice drills with athletes while providing assistance at tournaments and dual meets. Roehrich attended Doane College, where he played football and earned a bachelor’s of arts degree in fitness and sports management in 2013. He was a three-year all-GPAC offensive lineman for the Tigers, playing every position on the offensive line during his collegiate career. Roehrich was selected as a team captain during the 2012 season and anchored an offensive line that allowed a nation-best four sacks in 10 games. While attending Doane, he was a member of the Fellowship of Christian Athletes (FCA) and the Campus Crusade for Christ. Roehrich continued his playing career professionally, starting in three games on the offensive line for the Lincoln Haymakers in the Champions Professional Indoor Football League (CPIFL) and helping the team to its first-ever victory. 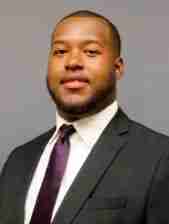 Black is a familiar face on Waldorf’s campus after spending the 2016 season as a student assistant for the Warriors, helping coach the team’s defensive line. He worked with players to directly facilitate progression, conducted game tape assessment of weekly opponents and also assisted in recruiting. Black is a 2017 Waldorf graduate. He was a starting defensive tackle for the Warriors during the 2015 campaign and earned North Star Athletic Association (NSAA) Academic Scholar-Athlete honors. During the 2013 season, Black played on the defensive line for the NCAA Division I Football Championship Subdivision (FCS) program at Hampton University in Hampton, Va. He began his collegiate athletic career at Scottsdale Community College in Scottsdale, Ariz., where he helped the Fighting Artichokes to an 11-1 record, the Western States Football League (WSFL) title and a victory in the Valley of the Sun Bowl. A native of Gary, Ind., Black is a 2011 West Side Leadership Academy graduate. He was named as one of the top 40 Indiana sophomores to watch prior to his sophomore season, was recognized as a first-team all-Northwest Indiana Conference (NWIC) selection and was also an all-star and all-area selection in basketball during his high school career with the Cougars. Freeman joins the Warriors after previously being employed as a student teacher and coach with the Northside Independent School District in San Antonio for two years. At Rawlinson Middle School, he oversaw the day-to-day management and operations of the physical education program. Freeman also directed and coordinated the day-to-day operational aspects of campus physical education and discipline management at Kay Franklin Elementary School. A four-year starter as an NCAA Division I wide receiver, Freeman played at the University of Texas San Antonio (UTSA). He served as a team captain during his final two seasons with the Roadrunners. Littrell, who previously coached at Earl Warren High School in San Antonio, was told by former players who played at UTSA that “you’re not going to find a better person” when it comes to Freeman. A Cameron, Texas native, Freeman is a 2010 C.H. Yoe High School graduate. He was a team captain for the football team during his junior and senior seasons. Freeman was also a three-time first-team all-district selection during his prep career with the Yoemen. Littrell said Freeman’s leadership experience at UTSA as both a team captain and involvement with the FCA chapter will be advantageous to Waldorf’s staff and players. Hickey, who was employed as the physical education teacher for the Arickaree School District in Anton, Colo. this past year, worked as the defensive coordinator and linebackers coach at Flagler High School in Flagler, Colo. during the 2014 season. From 2012 to 2013, he was the linebackers coach at Wheat Ridge High School in Wheat Ridge, Colo.
Hickey also coached the University of Colorado’s football camps from 2010 to 2011 during Jon Embree’s coaching tenure with NCAA Division I’s Buffaloes. Embree is now in the National Football League (NFL) as the assistant head coach and tight ends coach for the San Francisco 49ers. A four-year collegiate linebacker, Hickey played NCAA Division II football as a true freshman during the 2008 season at Western State Colorado University. He transferred to Adams State University in Alamosa, Colo. as a sophomore. Continuing his NCAA Division II football career at Adams State, Hickey garnered All-Rocky Mountains Athletic Conference (RMAC) Academic honors in 2010. Hickey is a 2008 graduate of Broomfield High School in Broomfield, Colo. He started his prep career at Broomfield, playing for the Eagles during his freshman and sophomore seasons. Hickey attended Denver South High School in 2006, earning all-conference recognition as a quarterback and linebacker. He returned to Broomfield for his senior season in 2007 and was a preseason All-American while being rated 36th nationally as a safety by ESPN. Hickey capped his senior year with the Eagles by being named an all-conference selection by the Northern League as a quarterback on offense, as well as a linebacker and safety on defense. In addition, he was recognized on the All-Boulder County Team. The Warriors open the 2017 campaign on Aug. 26, hosting Briar Cliff University in a 7 p.m. kickoff for Community Night at Bolstorff Field. With his coaching staff now solidified, Littrell is eager to get to work in preparation for the new season while leading the program’s future in a positive direction.